VIENNA - A computer-aided detection (CAD) scheme outperformed experienced human readers in detecting subsolid nodules as well as cancers in data from more than 2,000 lung cancer screening subjects, researchers reported on Thursday at ECR 2017. At the same time, CAD agreement with human readers was only fair, suggesting that both reading methods will continue to have a role in screening. 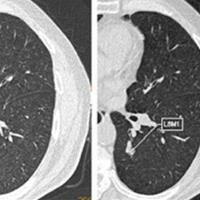 The researchers compared visual inspection and CAD for detecting nonsolid and part-solid nodules in two annual lung cancer screening rounds. While CAD sensitivity approached 90% for detecting subsolid nodules, the sensitivity of human readers for the fainter nodules languished at 31%. 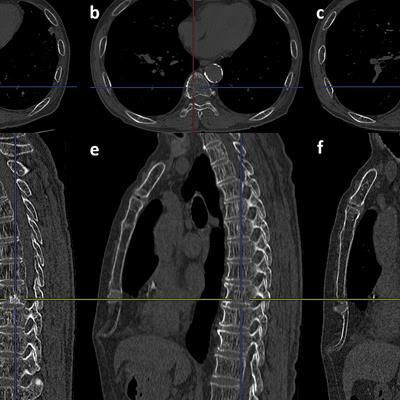 "CAD detected a large number of relatively small subsolid nodules that were overlooked by visual detection," said lead author Dr. Mario Silva, a radiologist and doctoral candidate at the University of Parma in Italy. "In particular, part-solid nodules were detected more frequently by CAD compared to visual detection." Subsolid nodules yield a higher malignancy rate than solid nodules, but they are also much harder to detect on CT because they are fainter, with background attenuation more similar to lung parenchyma than solid nodules. 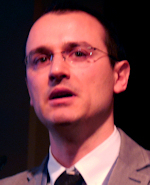 Dr. Mario Silva from the University of Parma. Although CAD studies of the hard-to-see subsolid nodules have shown promising results, "there is no article testing the CAD system as a concurrent reader in a full database of CTs," Silva said. 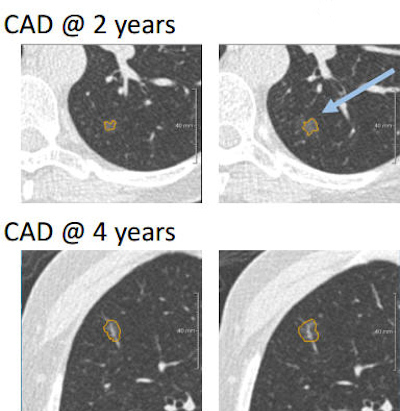 "So the aim of the study was to test the CAD system in a whole MDCT dataset for a lung cancer screening trial, and then to compare manual parameters to semiautomated parameters to evaluate the differences that might come from one or the other measurement." 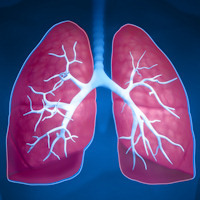 The researchers studied participants in the Multicenter Italian Lung Detection (MILD) trial, in which 2,303 subjects underwent baseline low-dose CT screening; all were 50 years or older and had a minimum 20 pack-years of smoking history. All studies were visually reviewed for the detection of subsolid nodules, Silva said. 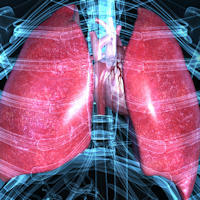 CIRRUS Lung Screening semiautomatic CAD software (Nijmegen, the Netherlands) was used for detection and characterization of pulmonary nodules on baseline, two-year, and four-year low-dose CT studies. Visual reading and CAD analysis were performed four years apart, and the investigators measured total diameter and the diameter of the solid component of the nodule. CIRRUS also recorded the volume of the solid component, total mass, and mass of the solid component of the nodule. The group calculated sensitivity and negative predictive value (NPV) in subjects with subsolid nodules. Cohen's k coefficient was used to measure agreement between CAD and visual detection, and a Mann-Whitney U test was used to measure differences of semiautomatic parameters between CAD and visual detection. "We evaluated the potential differences between nodules that were detected just by CAD or just by visual detection, maybe to implement some more features into the CAD system to help detect the lost nodules, and also we finally compared the semiautomatic and visual metrics to see how the semiautomatic measures would perform based on international guidelines," Silva said. Subsolid nodules were detected in 215 (9.3%) of the 2,303 screening subjects, according to the researchers. CAD sensitivity was 87.4%, with a negative predictive value (NPV) of 98.7%. Visual detection sensitivity was 30.7%, with NPV of 93.3% (k = 0.276), revealing only fair agreement between CAD and visual detection. "CAD detected many more nodules compared to visual detection ... and agreement was only fair between the two methods," Silva said. "Most interestingly, CAD detected many more part-solid nodules that are associated with more clinically relevant disease, meaning cancer. A few part-solid nodules were seen only in visual detection, and while the diameter was similar, the volume was different. CAD detected smaller nodules." CAD detected smaller nodules than the human readers. Images courtesy of Dr. Mario Silva. Visually detected nodules were smaller in mass, suggesting they were a bit fainter than the CAD-detected nodules. CAD missed some as well. Persistent subsolid nodules were detected by CAD after baseline in almost 50% of cases (11/23), Silva said. "It is also noteworthy that all [eight] subsolid nodules growing into a tumor were detected by CAD," he said. Nearly half of subsolid nodules initially missed by CAD (top row) were detected in subsequent screening rounds (bottom row). No subsolid nodules missed by CAD became cancer. In total diameter, there was good correlation been manual and semiautomated measurements, and in the diameter of the solid components. Still, CAD tended to overestimate the solid components of part-solid nodules, a potentially important shortcoming due to the importance of the solid component in assessing malignancy risk. "In conclusion, CAD detected a large number of relatively small subsolid nodules in subjects that were overlooked by visual detection," Silva said. CAD revealed exceptionally higher sensitivity for part-solid nodules in particular. Some nodules were not detected by CAD in the initial screening round, but if they were persistent, they were detected at subsequent CT screening rounds. With regard to international guidelines that are based on manual measurement of nodules, Silva urged caution. "Semiautomated measurement should be addressed specifically when talking about nodule management, and semiautomated measurement should maybe not be used within management strategies that are actually based on manual measurements," he said.